I have cut out all rice from my diet. One of the things I struggled with was find a good alternative for recipes like stir fry. Or having a side dish for my Mexican dishes. But then I found cauliflower rice. Cauliflower rice has very little of the cauliflower rice flavor and is textured just like al dente rice. 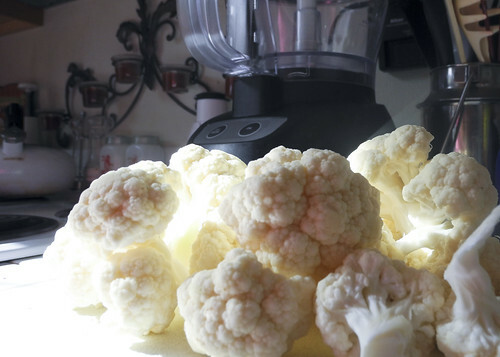 All you need is a food processor, microwave and a head of cauliflower. 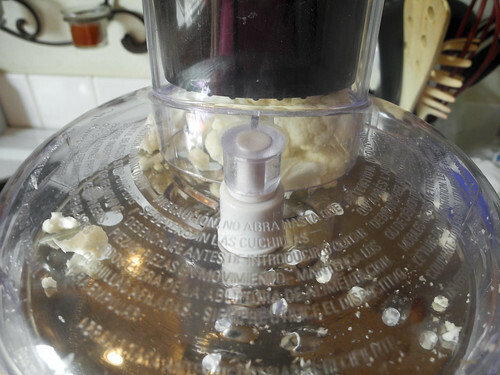 Clean and break up the head of cauliflower. 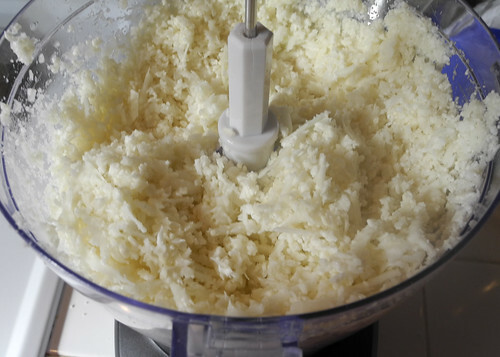 Start feeding the cauliflower through the shredding blade on your food processor. Microwave it in a covered dish, do not add water! Cook on high for about 4 minutes and then let sit for about 5 minutes. You can play with the timing to get your perfect texture. Have you tried cauliflower rice before? This is a way to enjoy the texture of the rice without cheating on the low carb diet.